Last week the New York Times reported that after President Trump fired FBI director James Comey, the FBI decided to launch an investigation into whether President Trump's "own actions constituted a possible threat to national security," and "whether he had been working on behalf of Russia against American interests." Unsurprisingly, buried in paragraph nine is an admission that "no evidence has emerged publicly that Mr. Trump was secretly in contact with or took direction from Russian government officials." As Glenn Greenwald notes in his latest piece in The Intercept, the FBI dangerously overstepped its authority by treating the President as a national security threat - and it's not the first time they've punished thought crimes that run counter to the establishment's worldview. What's worse, people are supporting the actions of an agency gone rogue - judging the actions of a duly elected US president. 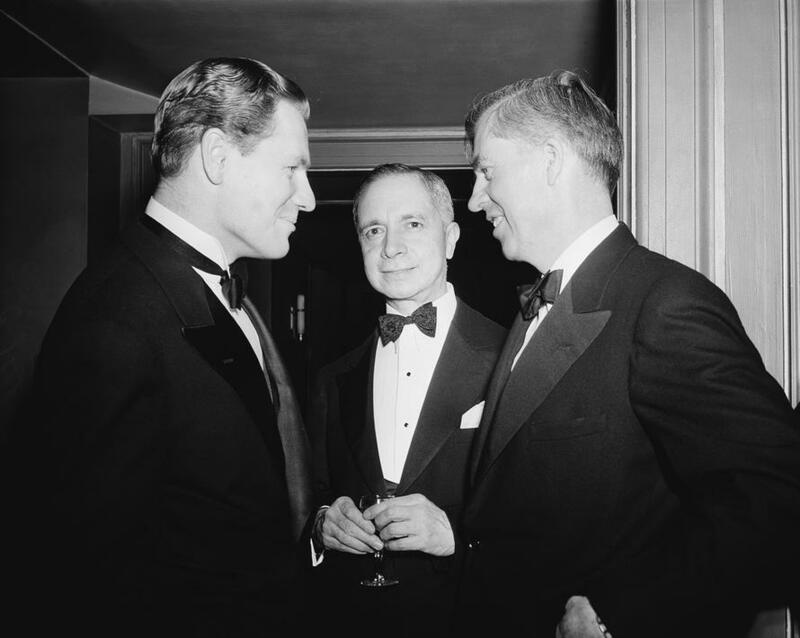 Greenwald points to the notable case of J. Edgar Hoover's lengthy counterintelligence investigation of progressive Henry Wallace during his time in Franklin Roosevelt's administration, and then as FDR's Vice President. Wallace's talk of peace with Russia following WWII caused the FBI to suspect that he was undermining "US interests" for the benefit of Moscow - and as a result, he was placed under extensive surveillance and investigation that remained unknown until 1983. "the bureau opened Wallace’s mail, tapped his supporters’ telephones and used informers and agents to trail him in search of ”possible Communist or pro-Soviet ties,"" reads a 1983 New York Times article. The fact that Wallace was critical of Russian leader Josef Stalin was of no interest to his detractors at the FBI. His dovish dissent from prevailing US foreign policy orthodoxy in regards to Russia "made him a suspect in the eyes of the FBI as a possible "national security threat," a witting or unwitting Kremlin stooge or even as a traitor," Greenwald writes. On that note - the New York Times' piece on Friday notes that the FBI "also sought to determine whether Mr. Trump was knowingly working for Russia or had unwittingly fallen under Moscow’s influence." Veteran journalist Carl Bernstein said on Sunday expanded on this peek into the changing narrative regarding the Trump-Russia investigation. Perhaps because no evidence of collusion exists - Bernstein suggested to CNN's "Reliable Sources" that Trump "has done what appears to be Putin’s goals," adding "He has helped Putin destabilize the United States and interfere in the election, no matter whether it was purposeful or not." In other words - Trump may be a Putin puppet without even knowing it, is the new narrative. Back to Greenwald - who notes that the 1940s investigation of Henry Wallace has already been compared to Donald Trump by people who accuse him of being a Kremlin stooge, "often for the same reasons." In October, 2016, Vox published an accusatory article about Henry Wallace by Will Moreland of the Brookings Institution designed to compare him to Trump when it came to potentially treasonous servitude toward Russia. Greenwald points out that the FBI "still refuses to release all of its investigative files on Wallace." No, the FBI investigation of the President for being under Russian sway isn't exactly unprecedented. The FBI also chased after long-time liberal Senator and 1972 Democratic presidential hopeful George McGovern due to suspected Kremlin sympathies - and his criticism of the FBI. An FBI that investigates domestic political figures whose loyalties are "suspicious" - and whose politics they consider a "national security threat" is both ominous and tyrannical, according to Greenwald. The FBI's investigation of Trump is similarly "anti-democratic and dangerous" - and it should be plain to anyone "even if you're someone who hates Trump's overtures toward Russia or even believes that they are the by-product of excessive subservience to the Kremlin," Greenwald writes. With the following caveat: "Obviously, if there is reason to suspect that actual crimes have been committed – such as, say, Trump officials collaborating with Russia to hack into email inboxes or otherwise engaging in illegal deals with foreign powers – then it’s not just permissible but vital that the FBI investigate such allegations." And Greenwald is careful to point out that he has been a "vigorous defender from the start of having a full-scale investigation into those allegations with the evidence publicly disclosed: so that we can know what happened rather than relying on self-serving, evidence-free, anonymous leak snippets laundered through MSNBC and the Washington Post." Read the rest of Greenwald's article here.